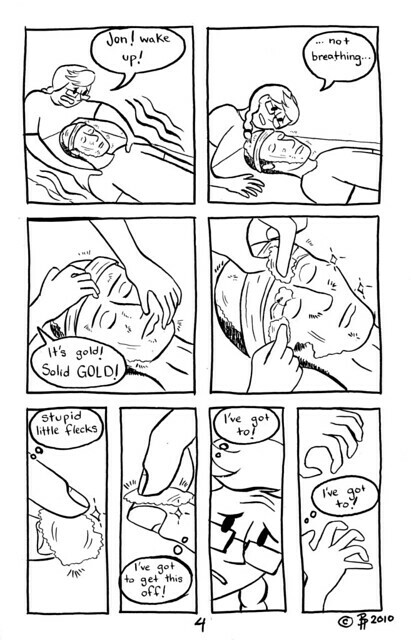 And now the dramatic conclusion of... BETH'S DREAM COMIC! 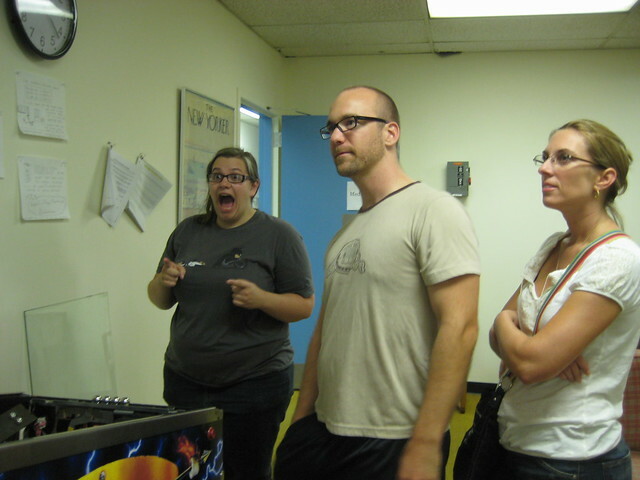 This past week we had our first deadline for our Thesis! It was an intense last few days of staying up way too late, computer's and printers malfunctioning, and hard drives and flash drives 'Thelma and Louise-ing' it outta here. BUT we all made it and now I have a beautiful fat stack of comics to read through! And, dear readers, if you are so inclined, this Saturday morning myself and Josh Kramer will be on the radio being interviewed about comics and what we're doing at The Center for Cartoon Studies! You can listen HERE! It will air at 8am EST on Saturday morning, and it runs about an hour long. Now I will leave you with the MOST exciting news of the year. In case you didn't know, internet friends, our school has this excellent teacher who works here. 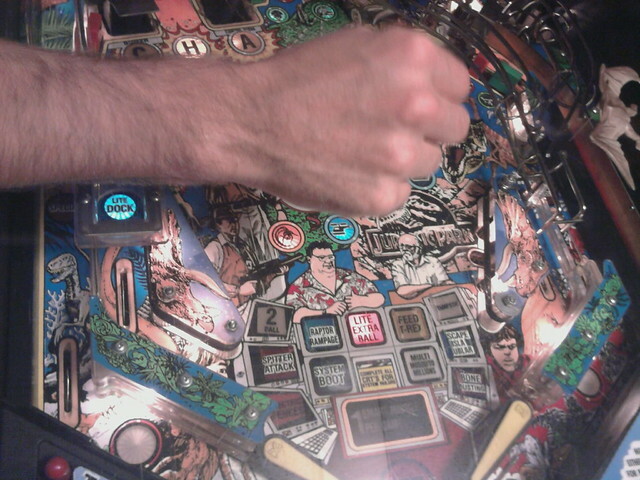 And he's obsessed with Pinball. In fact he's such a fanatic that he actually purchased and fixed up a Medieval Madness Pinball Machine and put it in our Studio. Half of the money raised in the pinball machine will go to a lucky pair of seniors to help them pay for their Thesis print costs! (AND IT'S A SUPER DUPER FUN GAME! B= you... uh... you get that thing? J=Oh yeah, just got back... you wanna play it...? B= I'm outside your door. 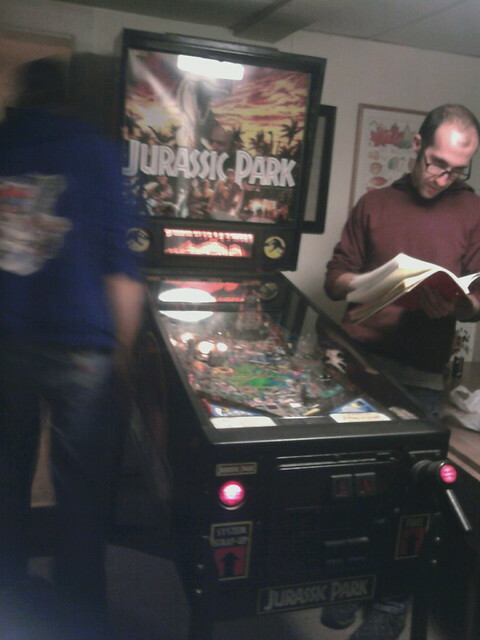 JON CHAD BOUGHT A JURASSIC PARK PINBALL GAME!!!!!!!! Needless to say, I'm super-duper pumped, and this week ruled...! Also I only have 5 Ladies of CCS calendars left! Get 'em while they're hooooottt!!! Yay! Looking forward to working at the library with you, Beth! !